Joseph Calusic joined Redbacks FC in 2009, playing his first game as a 4-year- old and loving playing at View St together with his mates. He played in the mini’s from U6 through to U8, and then moved to the juniors where he played alongside many of his good mates for many years in U9, U10, U11 and U12. Joseph was part of a very successful Redbacks FC team from U9 to U12, helping them win several Division 1 championships and premierships through the years. To this day, he remains good friends with many of his former Redbacks FC team-mates, and looks back proudly at his time at Redbacks. In 2016, Joseph was selected to play for Blacktown Spartans (U12 SAP), enjoying a successful year and helping his team remain unbeaten all season. He also represented Met West in the State Championships in 2016, again going unbeaten through the tournament. While continuing to enjoy his outdoor football, Joseph started to focus on futsal in the offseason. He currently plays for Inner West Magic who won the NSW Premier League Title in early 2017. He was also selected for the NSW State Futsal team, where he helped NSW win the National Championships at the beginning of 2017. 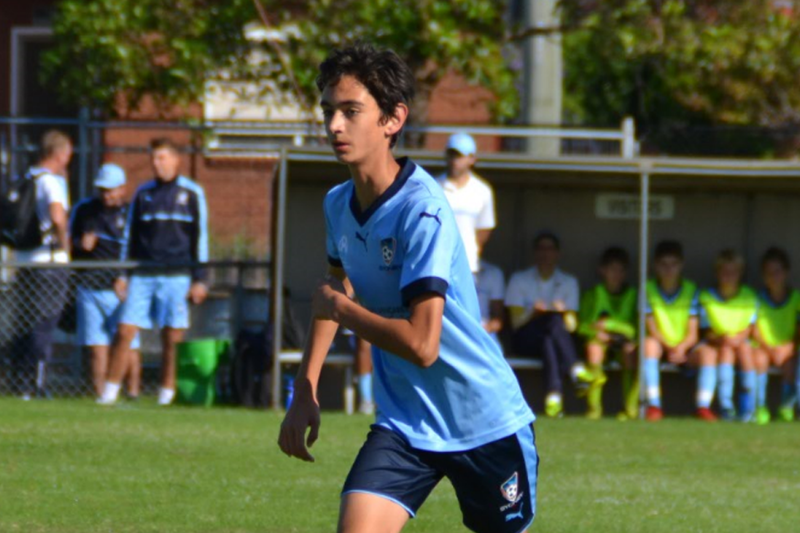 Most recently, Joseph was signed up by Sydney FC and currently plays NPL1 with Sydney FC (U13).